When life knocks you down, can love pick you up? Tanya Grant is a high-flyer who’s ready for a fresh start. That is, until her gran dies, leaving behind her dog, Delilah, and a hot mess of family pain. Enter Sophie London, dog walker and girl about town. She’s on a romance sabbatical after getting burnt, and nothing changes when she meets Tanya. However, when their paths keep crossing, the pair are thrown together on a roadtrip to Tanya’s home town. What happens next changes both their lives forever. 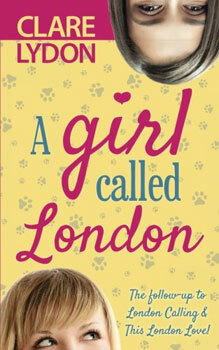 If you love romance with humour and heart — along with a cast of pooches — you’ll love the latest London Romance from the best-selling author of London Calling and This London Love. Join Tanya & Sophie on their journey of a lifetime as they discover whether love really can lift them up where they belong!